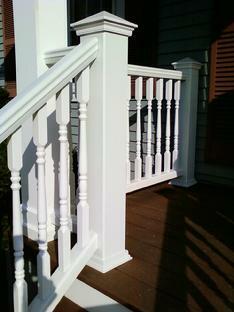 Trex artisan colonial railing in Villa Park. WWW.DUPAGEDECKS.COM It Looks great. TREX has the greatest name recognition, in the decking industry. At last reading they had about a 30% synthetic decking market share. Trex's top-of-the-line is "Transcend". 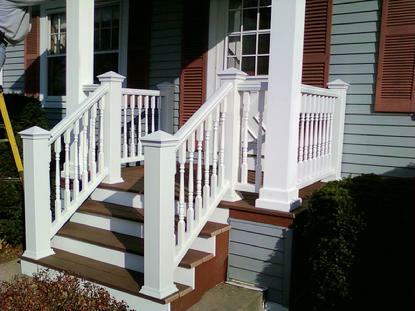 This composite decking has a durable coating (cap stock) on three sides and it looks great! 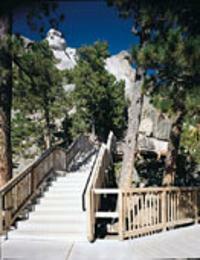 The upfront cost for a *good quality composite deck is around twice that of a wood deck. The savings comes from not having to stain and seal this type of material. (Obviously they must be cleaned) Also, not having to replace decking.